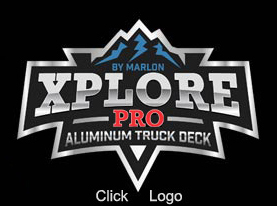 "Highest Quality Name Brand Dock Building Products and Accessories in the Industry." We offer Commercial Marina Systems by Connect-A-Dock Marina, PolyDock Commercial, Shoremaster Commercial, Wahoo Docks Commercial and our very own Timber Frame and Galvanized Steel Truss Commercial Dock Systems along with Breakwater and Wave Attenuators by Wahoo, Shoremaster and again our own Timber Frame Breakwater System. Connect-A-Dock - Maintenance-free modular floating docks that easily connect together to form any configuration you want. Available in two sizes. ACE Roto-Mold Float Drums by Den Hartog Industries, Inc. - Seamless foam-filled polyethylene dock floats (drums) available in multiple sizes and buoyancy ratings for building or refloating dock systems. 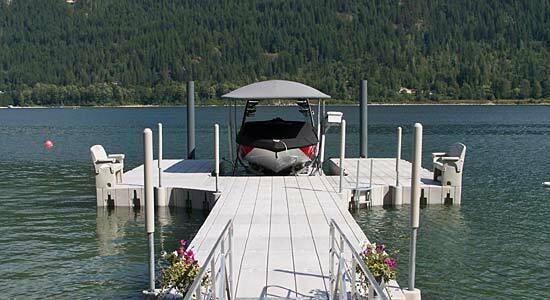 ThruFlow Panels - ThruFlow is designed to be the finished walkway for a dock or any outdoor flooring structure. Xccent Metal Decking - An environmentally sound, lifetime surface for your dock. PWC Ride-On - Connect-A-Port� PWC Drives. Dock Hardware - Everything you need to build your own commercial-grade dock. Dock Accessories - Marine Ladders, Dock Bumpers, Dock Cushions, Dock Corners, Mooring Arms, Mooring Buoys, Mooring Whips, Dock Cleats, Hoop Pile Holders, Square Pile Guides, Fasteners, Dock Boxes, Piling Caps, 24 Inch Plastic Dock Wheels & Axle Kits, Steel Truss Frames, Fire Cabinets, Fish Cleaning Tables. Pearson Pilings - Fiberglass Composite Pilings. Wood rots. Steel rusts. Concrete deteriorates. Fiberglass lasts. Just ask those in the boat building industry. Whether you are building a commercial or residential pier or dock, you can now choose composite pilings that not only outlast all others, but have many other unique benefits. Solar Lights - Carmanah Solar-Powered LED Lighting, Sealite Solar Marine Lights, Taylorbrite Solar Dock Lights, Commercial Grade Solar Dock and Deck Lights. Eaton Marina Power Equipment - We are now carrying Eaton Marina Power & Lighting Products! Safety Ladders - Marina safety ladders that provide a safe, secure exit from the water.